April Fools came early this weekend, as rumors have been aflutter with Councilwoman and current mayor Diane Dixon reaching out to her big money donors seeking financial support for a State Assembly run– but will she do it, and if so– why? 1) Will she do it? 2) Why would she doing it? 3) Why would she do it now? Let’s take those line by line. The simple answer to this, is no. She knows her record is a poor one that openly reflects massive government overreach, proud attacks on our Dog Beach, relentless attempts to shut down small businesses, voting for every tax increase she’s had a chance to vote on, and a recent campaign (as an incumbent!) 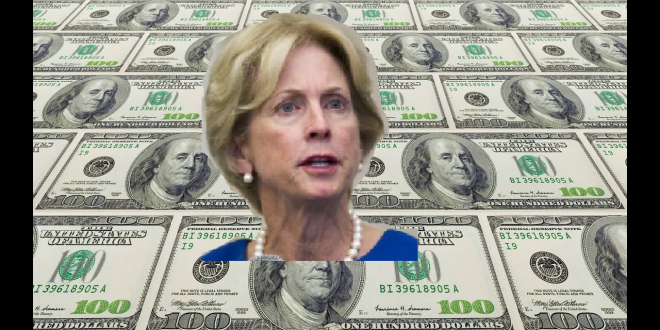 where she had to spend $150,000 to keep her meager city council seat against someone who ran against her (me) who spent nearly nothing– and that challenger got a whopping 41% against her, with a near-zero budget, a cycling injury that prevented him from even walking for the bulk of the campaign, and that person waiting until the last hour of the last day to file to run against her– not exactly a running start– and she had a positively disastrous showing. She knows she can’t win the State Assembly seat because her policies mimic the same policies being put forward by the person she would be seeking to unseat. Dixon is very open about the fact that her parents were newspaper people, her husband is a professional elected official, her sister was the councilwoman in Costa Mesa, and she moved to Newport to secure an elected seat. Her family dynasty seeks power above all else, and she’s proven time and time again from her “New Firestation” crony deal to the “Balboa Theater” crony deal to the attacks on Dog Beach to the raising of taxes, to the McDonalds Building crony deal to the ExplorOcean crony deal– that she’s willing to sell out the public for a buck or two from big donors that she does favors for. Her interest is not in helping the city, but in helping herself, so a natural progression is to attempt to ascend in power. Why would she do it now? Strong rumor has it that District 1 OC Supervisor Michelle Steel will be running against Harley Rouda, our newest Congressman who unseated longtime Congressman Dana Rohrabacher. If Steel wins– and with her financial backing, she well could– then the Board of Supervisors position will come available. One of the best things to have when running for office is what is called a “Ballot Designation”. This is essentially a note of your occupation, and government officials tend to do well when they are listed. But many local Councilpeople will likely vie for the elusive Board of Supervisors seat, and if Dixon runs with the ballot designation of Councilwoman, that is far less impressive than if she ran for the seat as State Assemblywoman. In short, if Dixon wins the State Assembly, she can then easily parlay that title, and run (and win) the Board of Supervisors seat– assuming that Steel defeats Rouda in 2020. No, she can’t win. And that is precisely why she won’t run. However, by rustling the bushes, she can get an idea of her support for the Board of Supervisors position, allowing her to know her odds at that seat when it becomes available. So if you hear that she might be running– just laugh. Because unless she is far more disconnected than we think she is already: it ain’t gonna happen. Next Irvine Ranch Market taking over Hershey’s Market on Balboa Island… Again!